Please feel free to download any of the below for your own benefit. 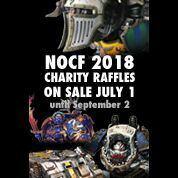 These are not for sale, and are to be treated as unofficial. 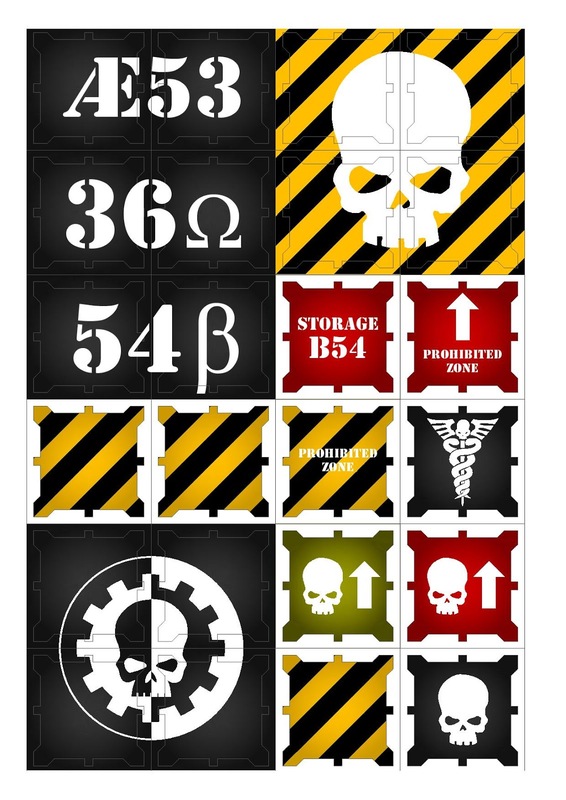 They are to be used as tools to improve your hobby or to complete your various projects. 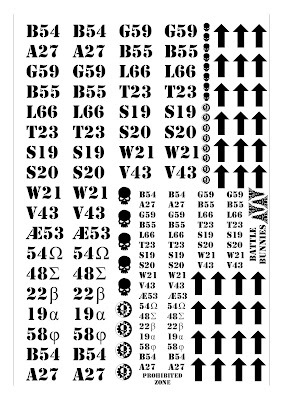 There is a whole plethora of printer types and sheets out there. 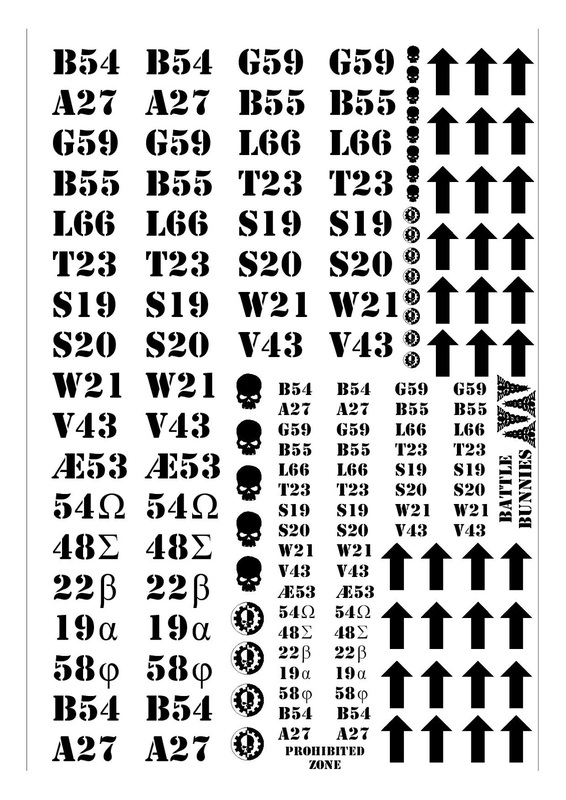 I personally buy my sheets from eBay and use a laser jet printer. 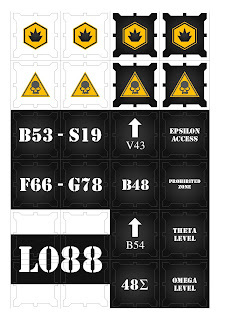 You should chose the sheet based on the result you want and the colours on the sheet. 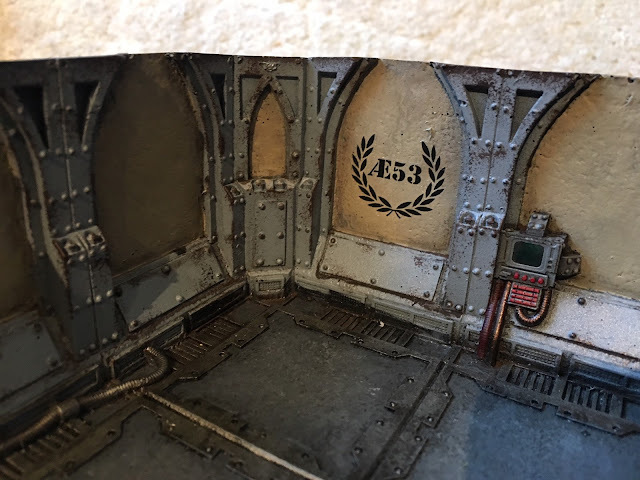 Clear waterslide decal paper - This is the most forgiving in my opinion and it is the type you should try to use wherever possible (especially if you are just printing black transfers). White waterslide decal paper - This product creates many problems. When laying the transfer down, some of the black or colour may chip off from the white film itself. This causes a very undesirable look in my opinion. 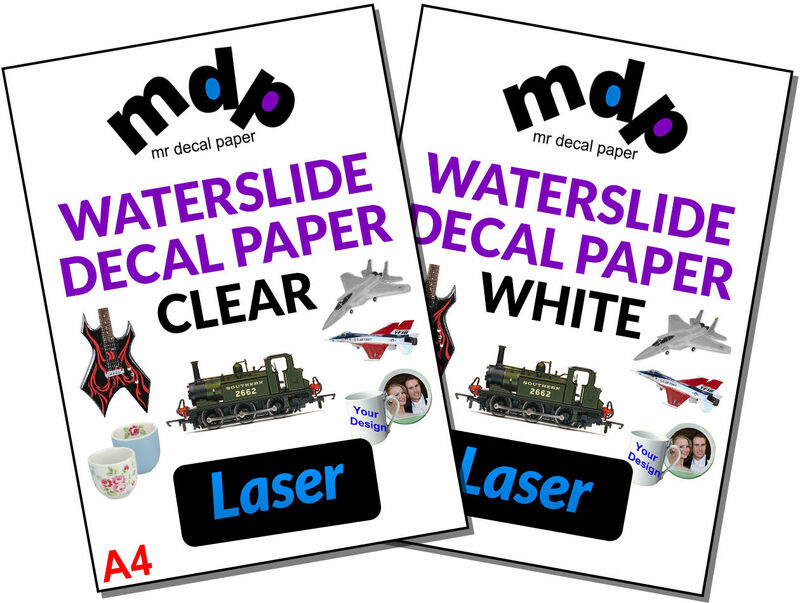 General considerations - The issue is, most of the time when you are printing a coloured transfer, the printer thinks it is printing on white paper (why wouldn't it). So the problem is, you may have a very vibrant red on screen, but when you print it onto a clear transfer and then slide it off onto a dark surface, the colour is completely different (as to get the correct effect of the desired red on a white surface it only needs to use a certain amount of ink). 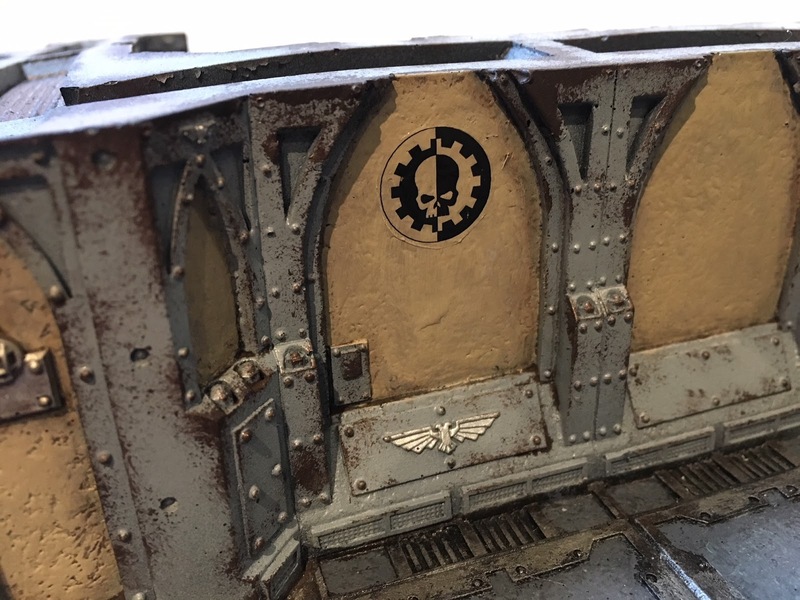 But when you print it on white decal paper, the correct colour can be put on the model, but the surface will either have a white surround or it needs to be removed with a really sharp scalpel. 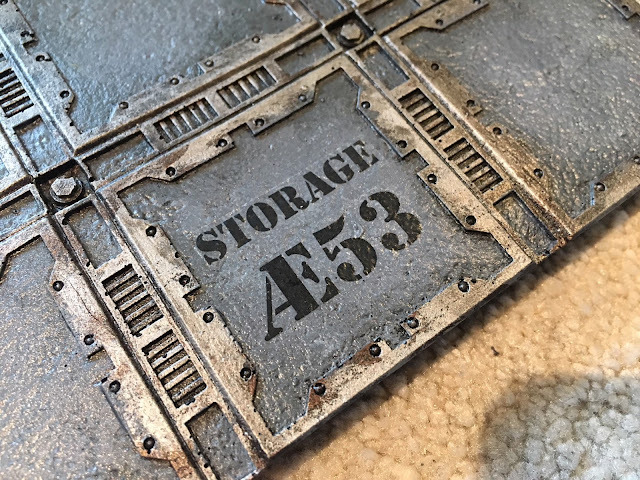 The way to overcome this is to print colours onto a clear transfer as normal, but then paint the surface of the item the transfer is to go onto, white. This means the colour looks very similar to the true desired colour, and it is very forgiving when it comes to wear and tear. Scale - When printing, do not scale at all. 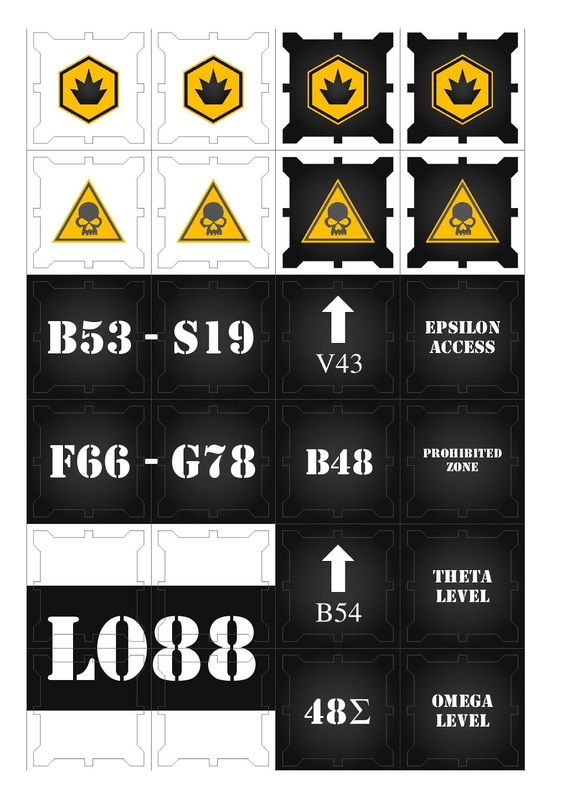 This will make the transfers not fit. Also please try with standard paper first so not to waste the expensive stuff. 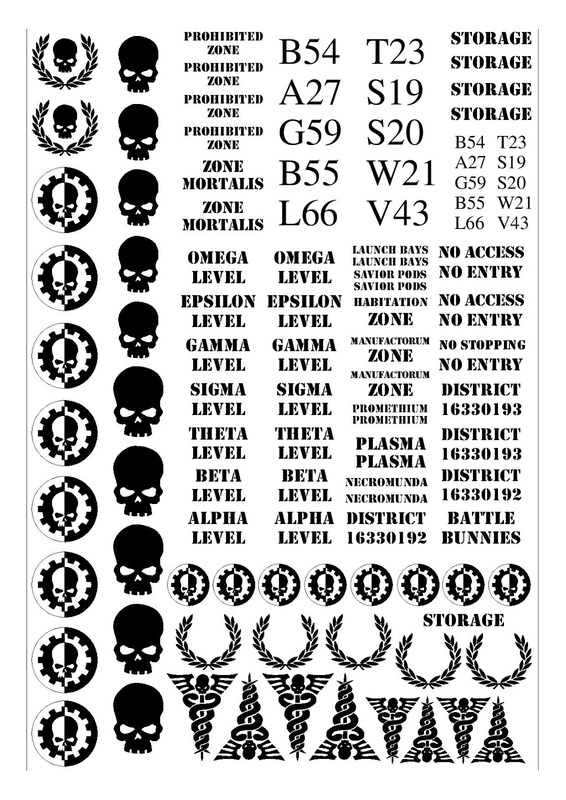 Zone Mortalis Sheet 1 - For best results print on clear. 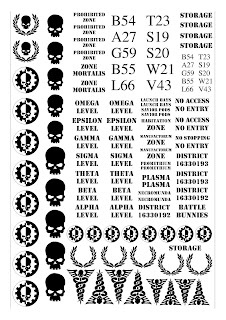 Zone Mortalis Sheet 2 - For best results print on clear. 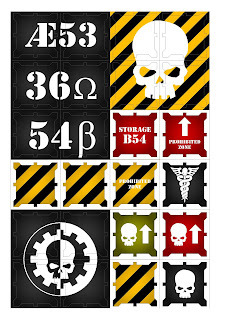 Zone Mortalis Sheet 3 - For best results print on clear. 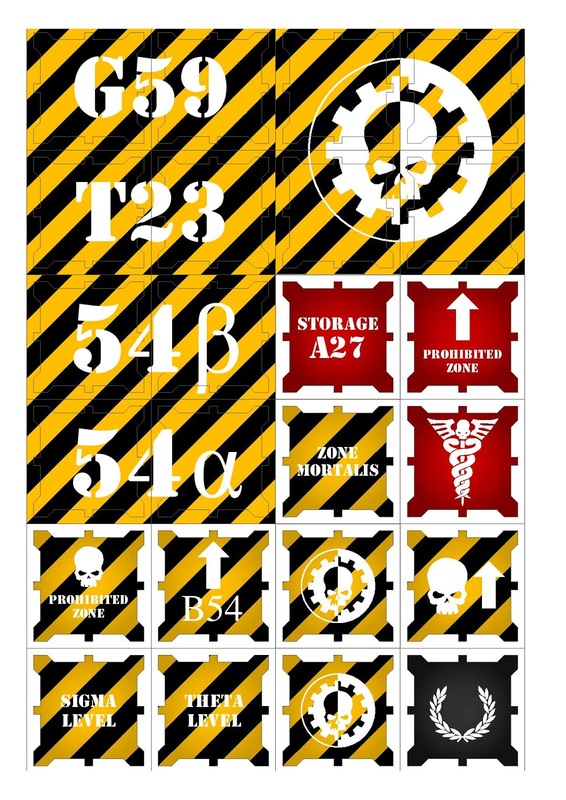 Zone Mortalis Sheet 4 - For best results print on clear and paint the surface of the floor tiles white. 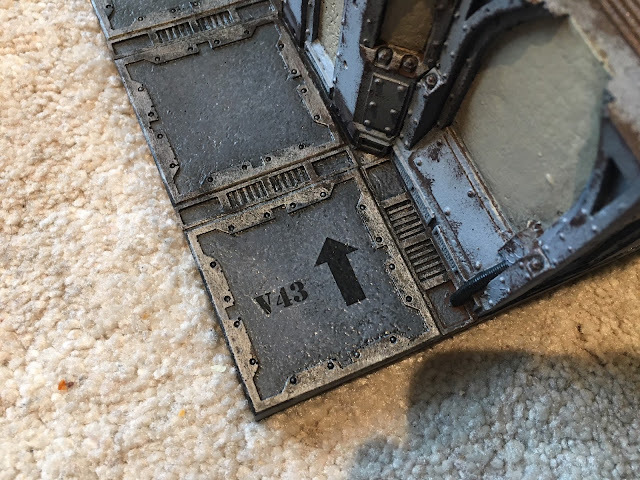 Zone Mortalis Sheet 5 - For best results print on clear and paint the surface of the floor tiles white. 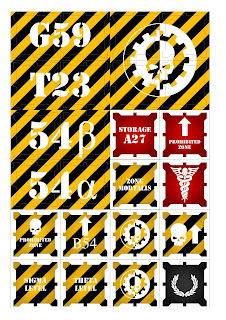 Zone Mortalis Sheet 6 - For best results print on clear and paint the surface of the floor tiles white. 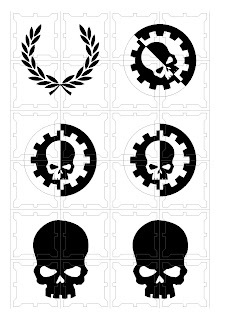 So as these transfers are all black printed on clear water slide paper, they are very forgiving and easy to use. 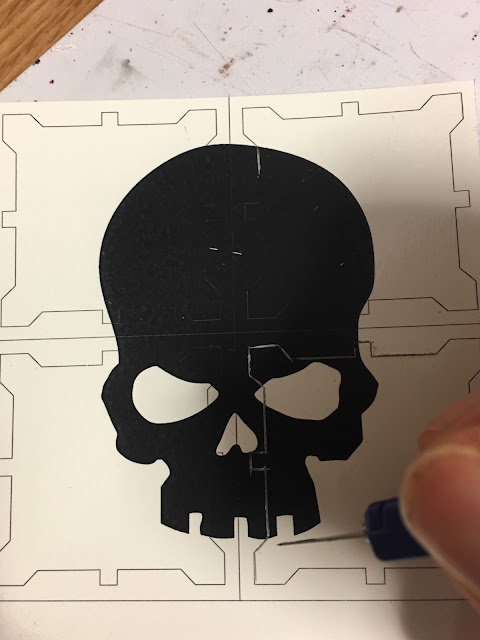 Cut along lines (with steel rule and scalpel), then around the transfer itself where the extents past the black is not needed. Like so. Once more I recommend using a small plate/saucer with a bit of kitchen roll soaked through, place the transfer segment on top and it absorbs the water and maintains more of the adhesive (compared to just dunking it in water). 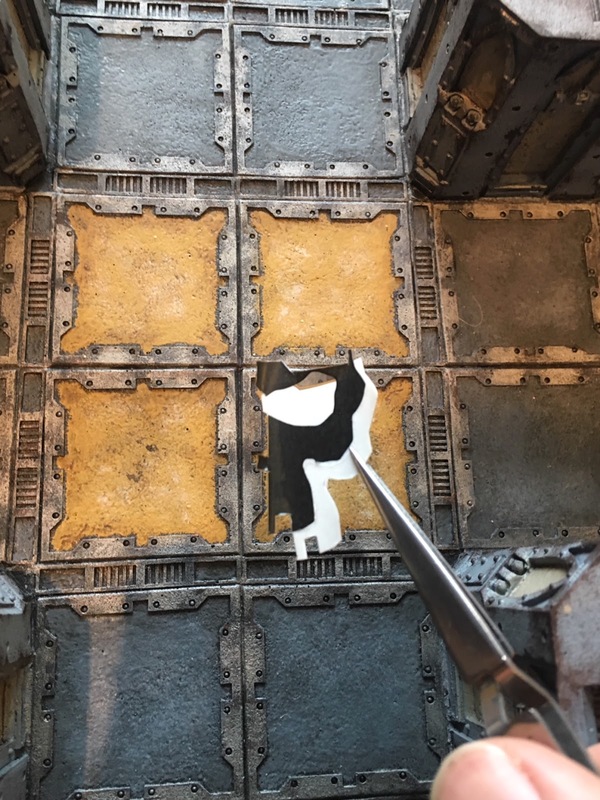 Micro Sol and Micro Set are ideal for this as the surfaces are slightly textured and so need a little softening to fit properly (see our other posts on Micro Sol for more info on how to use). Storage area text. Once more flooded with a bit of Micro Sol. is used to push the transfer flat to the surface and remove air bubbles. Transfers can be used for walls too. OY!!! 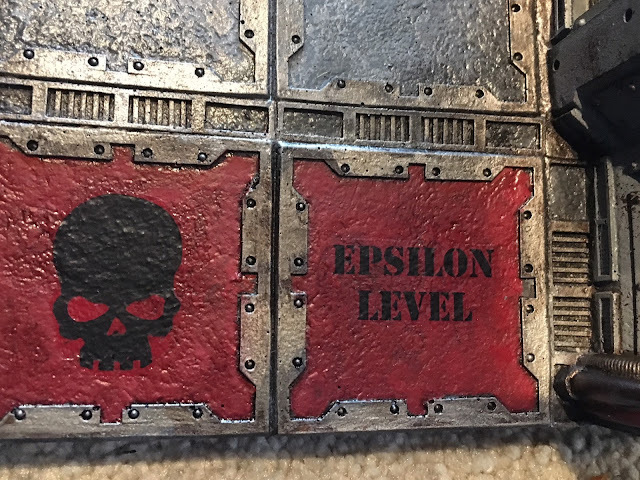 you This is Epsilon Level. . . . get outta 'ere!! V43 is this way . . .it's the ship's night club. 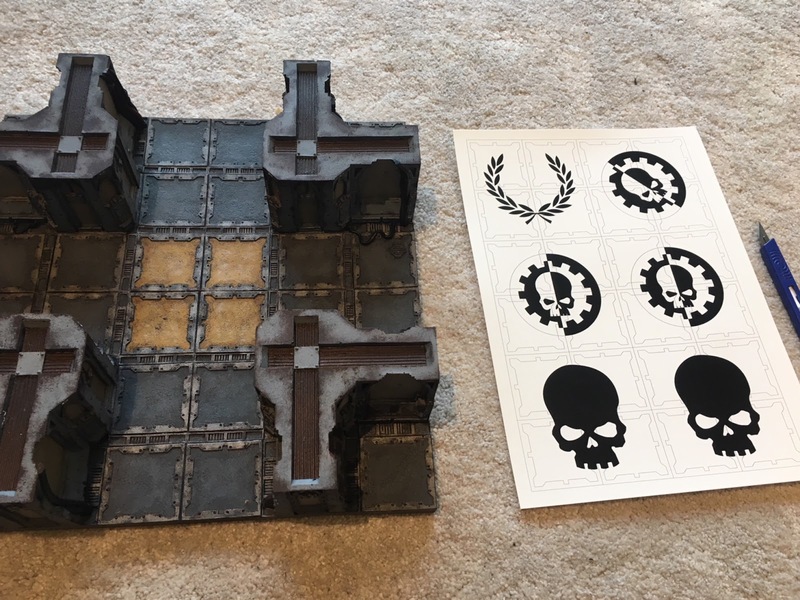 You can cut the segments like so to add to the floor tiles too. Or you may decide to do this. If you do, bare in mind that the bolt holes will need to be cut out. I also really recommend weathering them too as the raised black areas would be scraped by footfall. No problem Johnny. Hope they work out for you.